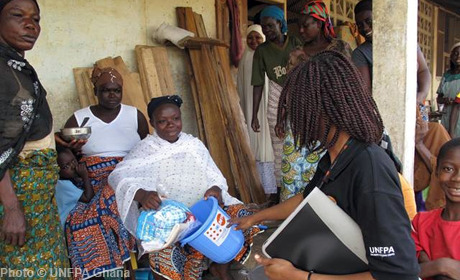 UNFPA programmes in Ghana are aimed at achieving universal access to sexual and reproductive health, promoting reproductive rights, and reducing maternal mortality by accelerating progress on the ICPD agenda and MDG5(A&B). Priority is given to improving skilled delivery, uptake of family planning, and quality maternal health care. UNFPA also assists to improve the use of and access to HIV prevention services, particularly among youth. Programmes also support the implementation of the national population programme and the domestic violence action plan.